American Bald Eagles live in 17 NJ counties. Black bears live in all of the states 21 counties. Home to over 400 species of birds, the NJ Audubon Society hosts the World Series of Bird Watching in Cape May. The NJ Pinelands is a unique forest is known for its reptiles, amphibians, predatory birds, colorful orchids, and carnivorous plants. It is designated a Biosphere Reserve by the United Nations, and covers almost a quarter of the states land area. The NJ Highlands and Kittatinny Ridge are home to 72 miles of the Appalachian Trail. The Ramapo Mountains in NJ are the most densely forested areas in North America. Nothing compares with the magic of the Jersey Shore and the classic Jersey boardwalks at Asbury Park, Point Pleasant, Seaside, Atlantic City, Ocean City, and Wildwood. They are a special place. The Jersey Shore has some of the best surfing spots on the East Coast, and 100's of colorful beach towns. To quote Junot Diaz, "The boardwalk was where all of NJ came together; Where NJ for better or worse, met itself." Over 17% of NJ land belongs to small family run farms that grow over 70 different crops. Local favorites are blueberries, cranberries, and peaches. Got Asparagus? All four varieties grown in the United States were developed at Rutgers - the State University. Colorful, ornate Colonial and Victorian era architecture can be found all throughout the states many small towns. 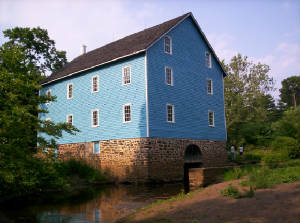 This state is home to many historical sights, some of them dating all the way back to the 1600’s. At New Jersey Scenic our aim is to provide you with links to other high quality New Jersey Websites, links to expert photography, picture sets, and videos that capture the states uniqueness and scenery. 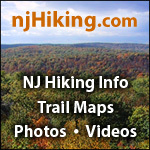 Go Out and Explore New Jersey Outdoors!